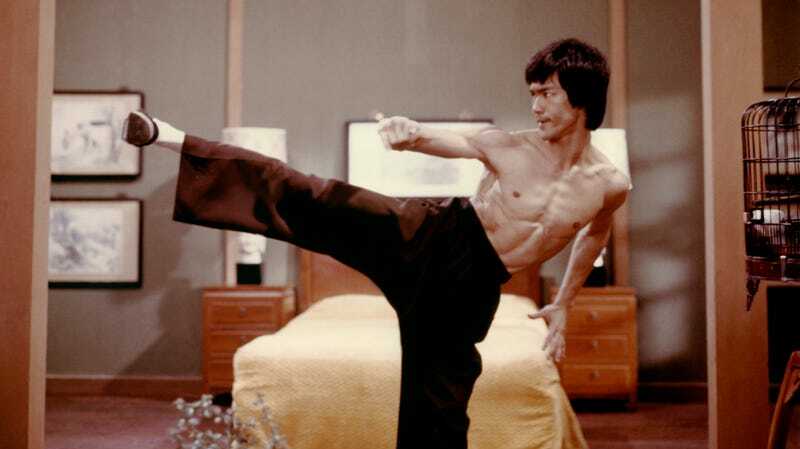 According to Deadline, Deadpool 2 director David Leitch is “in early talks” to take on Enter The Dragon, a remake of Bruce Lee’s 1973 martial arts movie of the same name. The original is one of the most iconic martial arts movies of all time, and as Deadline notes, it helped set off a martial arts craze in the United States that only faded away once the general public realized that turning your body into a weapon is actually pretty difficult. Basically, that means there are some high stakes for this remake, especially since it’ll be hard to find someone who captures the charisma and martial arts mastery that Lee had. The original was about Lee entering a martial arts tournament run by a mysterious villain named Han in order to get revenge for the death of his sister, and it featured John Saxon as an American guy working with Lee to defeat Han.